Prior Scientific reports that its collaboration with Neurotar (Helsinki, Finland) has produced a seamlessly integrated solution for in vivo microscopic imaging in the brain of awake and moving rodents. The solution is based upon Prior’s ultra-stable and easily adjustable Z-Deck platform. Neurotar’s Mobile HomeCage is an accessory device for microscopy and electrophysiology, which enables high precision tests in the brain of awake, head-fixed, but otherwise freely moving rodents. The Mobile HomeCage eliminates the need for anaesthesia and thus preserves full physiological functioning of the brain. It provides a natural, tangible environment, which alleviates the stress experienced by rodents during experiments under standard head-fixation conditions. Stress reduction helps reduce the run-up time to the start of experiments and improves their reproducibility. The Mobile HomeCage is compact – it fits into most imaging set-ups without the need for modifications. Last but not least, it allows combining state-of-the-art neurophysiological techniques (such as in vivo two-photon microscopy, optogenetics, intrinsic optical imaging and in vivo patch-clamp) with behavioral paradigms in a single experiment. Working closely with Neurotar, Prior have developed a fixing kit allowing seamless integration of the Mobile HomeCage with the Z-Deck. 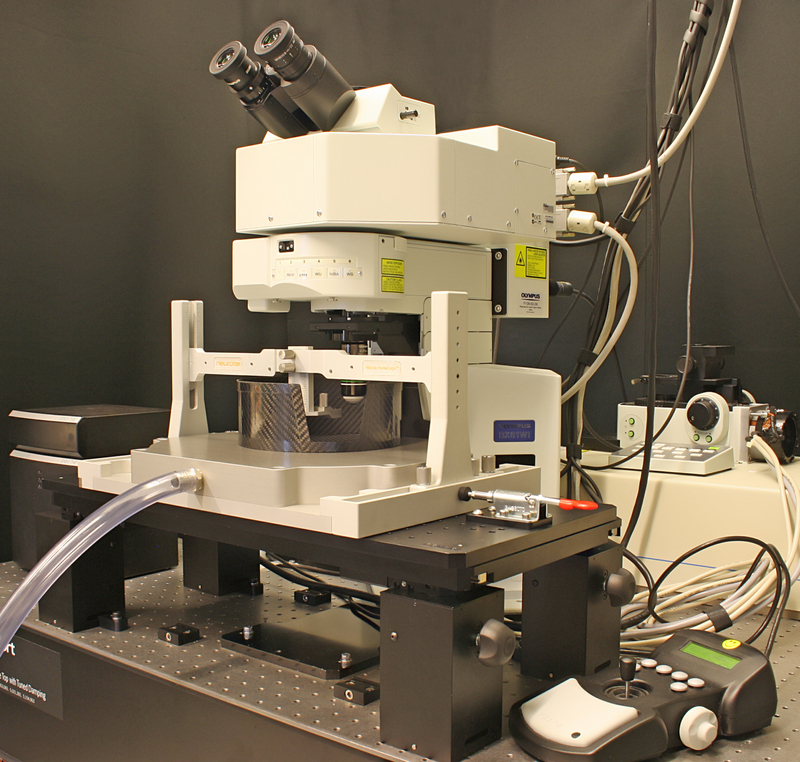 The Z-Deck is an ultra-stable, height adjustable platform designed specifically for electrophysiology and microscopy applications in neuroscience, which is available with an integral motorised positioning stage, a manual positioning stage, or a fixed top plate. The Z-Deck is compatible with a wide range of microscopes. Available from Neurotar the new fixing kit allows neuroscientists to combine the benefits offered by the Mobile HomeCage with the stability, height adjustment and operational flexibility offered by the Z-Deck. Importantly, the fixing kit allows the loading of the mouse either on or off the stage followed by a quick and precise re-positioning of the Mobile HomeCage onto the Z-Deck. This means that the delicate operation of mouse-loading does not need to be performed around the microscope system itself.